With the Philippine Navy recently awarding the bidding to construct two new light general purpose frigates, MaxDefense has decided to discuss an important feature of the ship: its Combat Management System (CMS). In simple terms, the Naval Combat Management System is the what most call “the heart of naval combat vessel”, a computer and software system package that integrates all the sensors and weapons systems of the ship into a single system, and managing of command and weapon control functions. This allows the ship’s crew to do their job faster and more efficiently especially during combat or security operations. Being such, this could be considered as among the most important features of a naval warship, and should not be compromised. A typical architecture of Thales TACTICOS is a large frigate-destroyer type warhsip. Photo taken from Thales' presentations. Currently, the Philippine Navy does not operate a combat management system in any of its ships. Even its newest asset, the Tarlac-class landing platform dock, is not yet installed with a CMS although it appears to be designed to have such system installed in the future should the PN decide to. In the Philippine Navy frigate’s setting, MaxDefense believes that there could probably be only two competing entities for the supply of Naval Combat Management System. These are the French company Thales Group, and Hanwha (formerly Hanwha Thales, and prior to Hanwha’s acquisition of Samsung's Techwin division, was also known before as Samsung Thales) of South Korea. With the frigate to be built by South Koreans, it is expected that Hanwha will be among the choices that will be offered by Hyundai for use on the frigates. This is due to cost, local avaiability and easy acquisition, and possibly Korean government pressure to use local products to gain foothold and improve its portfolio in the export market. Hanwha's partnership with Thales was reportedly dissolved lately, although their website still uses the name Hanwha Thales as of this writing. Hanwha currently offers their FFX Naval Shield Combat Management System, a version specifically made for their new frigates including the Republic of Korea Navy's Incheon-class frigate which was based on Hyundai’s HDF-3000 frigate design. Apparently HHI’s frigate design for the PN is based on the same model. 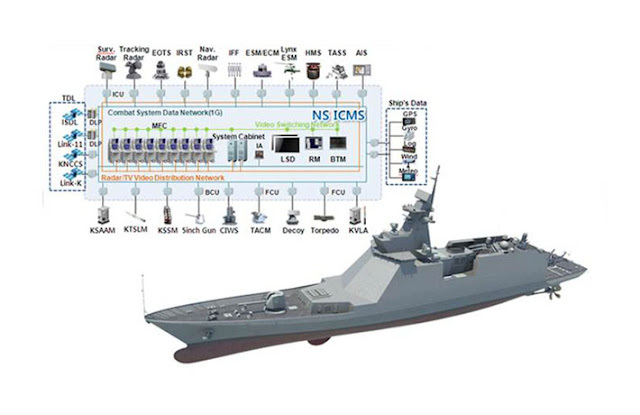 Meanwhile, MaxDefense also expects that, since Thales being among the largest supplier of naval sensors and combat management systems in the world, and their previous ties to Hanwha, it is expected that Thales will be another competitor for the CMS of the PN's new frigate. 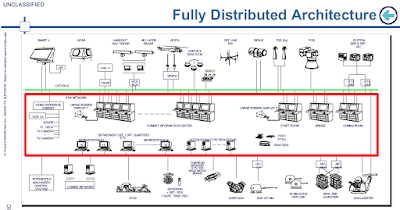 Thales has been actively offering their systems to the PN for the past few years, so it is not a surprise if this is the case. Thales is expected to offer their successful TACTICOS line of CMS. The FFX Naval Shield' can accommodate sensors and weapons system, mostly those currently being used by the Republic of Korea Navy. Photo taken from Hanwha Thales' website. Aside from the new frigates, other existing Philippine Navy assets are planned to be installed with a Combat Management System. These includes the Del Pilar-class frigates and Tarlac-class landing platform docks. It was already mentioned before in previous interviews with Philippine Navy officials, that the upgrades for the Del Pilar-class frigates will be patterned after the new frigates, which means that the PN is just waiting for the confirmation of the subsystems to be installed on the new frigates. 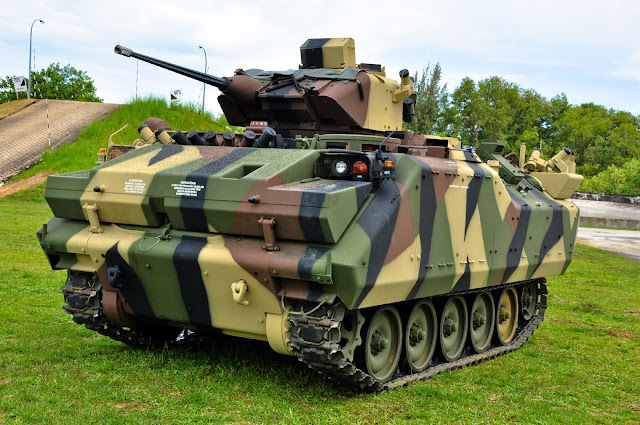 The Tarlac-class LPD, doubling as command and control assets, are also confirmed by MaxDefense sources from the PN, will also need a CMS considering that it will also be armed with defensive systems. Other incoming new assets are also expected to be equipped with a CMS, incluidng plans to acquire fast attack crafts, anti-submarine corvettes, additional amphibious assault ships and frigates which are all scheduled for procurement under the Philippine Navy Capability Upgrade Program "Horizon 2" Phase. TACTICOS is currently the most widely used Naval Combat Management System in the world, is used for combat and maritime security operations, and has been a proven product since the first version’s introduction in 1993. It is in use with many navies, including the United States, Japan, Australia, and even the PN frigate's shipbuilder home country in South Korea. TACTICOS has evolved several times through the years, improving as technology level increases, with more features introduced into the system as mission requirements evolve, and as new subsystems are introduced in the global market. One of the advantages of TACTICOS is its open architecture that allows third party applications and to speed up the adaptation of new or modified functions. It is also modular and scalable, which could be made available for less complex or smaller naval surface assets like patrol boats, which are also becoming more technologically advanced and increased use of electronics despite their simplicity. 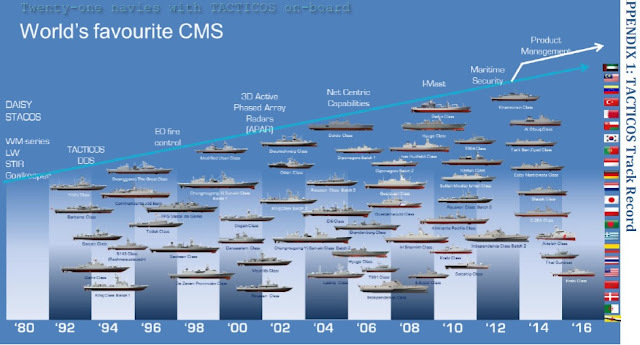 Some of the ships using Thales' TACTICOS CMS, which has around 22 countries using it since 1993. Photo from Thales' presentation as of 2016. Being a product of Samsung Thales, it is good to note that Naval Shield was actually based on the initial version of Thales TACTICOS (which some groups call Baseline 0 model), part of a technology transfer agreement when the Republic of Korea Navy decided to choose Thales products like TACTICOS and Goalkeeper CIWS for its KDX indiginous destroyer program. 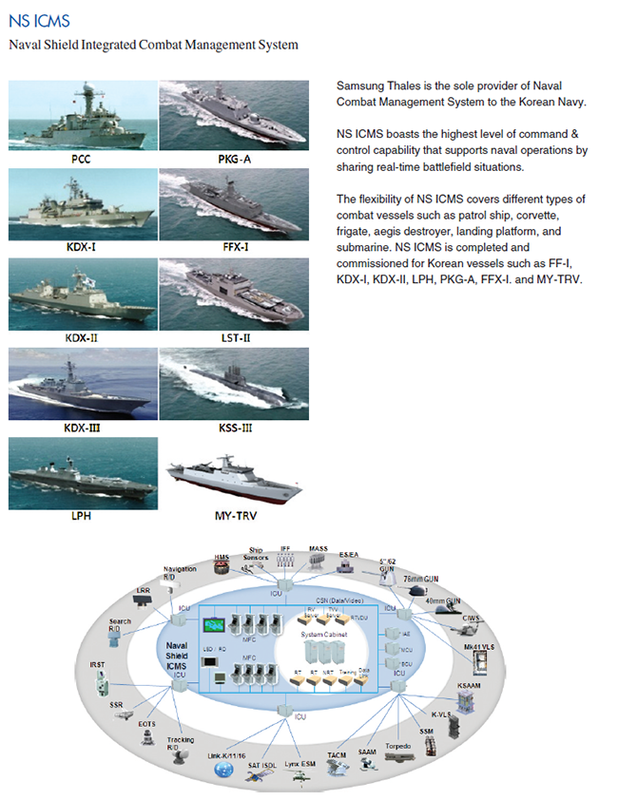 This system was first used in Republic of Korea Navy's FFX frigate program (thus the name), starting with the Incheon-class (FFX-1) frigates, and continuing to the Daegu-class (FFX-2) frigates. Both frigate classes are quite new, meaning that the Naval Shield has only been in service for less than 5 years. There's not much available information on Naval Shield, but several sources including Hanwha Techwin's own website indicated that the FFX Naval Shield was derived from the PKX CMS. PKX (Patrol Killer Experimental) is South Korea's replacement for the Chamsuri-class PKM (known in the Philippine Navy as the Tomas Batilo-class) and is a large patrol boat that probably allowed then Samsung Thales to test its new product due to its size. The PKX CMS was then expanded to accommodate an expanded number of sensors and weapons systems found on frigates, thus the development of FFX Naval Shield. Currently the FFX Naval Shield is configured to accommodate sensor and weapon systems used by the ROKN, although it is being updated to be able to accommodate other foreign-made subsystems for possible export of the Naval Shield to other countries like the Philippines. FFX Naval Shield is one of the variants of Hanwha's Combat Management System offering, specifically for ships of frigate size. So What Is MaxDefense's Choice? This could be MaxDefense's first blog specifically discussing its product choice over another product, although this is not the first time MaxDefense wrote something that prefers a certain product. In this regard, MaxDefense chooses the use of Thales Tacticos Naval Combat Management System over Hanwha's FFX Naval Shield. 1. TACTICOS is a more advanced CMS product, as compared to FFX Naval Shield. It has been in constant development since its introduction in 1993, amd with more years of development in its belt, MaxDefense believes it has gone farther than Hanwha Thales did with the Naval Shield. 2. TACTICOS is in service with more ships of different types and sizes than FFX Naval Shield, even if you include the PKX version of the CMS. There are 23 countries using TACTICOS, while only Korea uses Naval Shield. 3. Since it has more ships and country users, MaxDefense expects the TACTICOS to be a more proven product than Naval Shield. With some countries doing repeat orders and the number of users swelling in the past few years, it shows that TACTICOS has been able to show that it performed well with its current customer base, and other navies have noticed it too and trusted Thales for the product. 4. TACTICOS is designed to allow easier integration to more weapons and sensors available in the international market, which includes European, American, and NATO-standard weapons systems. Compared to Naval Shield which is currently only designed to accommodate weapons and sensors system in use with the Republic of Korea Navy. TACTICOS' open architecture also allows easy adjustments on the system to allow the integration of new weapons systems, as demonstrated by the Koreans themselves when they integrated the locally-made LIGNex1 C-Star missiles to the TACTICOS-equipped ships of the KDX series. 5. Thales is expected to supply the sensors for the Philippine Navy's new frigate if Thales is chosen as the CMS provider. It makes perfect sense to choose Thales products if Thales provides the CMS considering that it would be easier to integrate compared to getting another CMS model like FFX Naval Shield. Thales is the best integrator for Thales products, and could guarantee their work without the need to point to any other company. It is riskier to mix and match different brands for the subsystems as this would complicate integration and increasing the risk of failures. Being the first Philippine Navy ship equipped with modern electronic and computer systems, failure is not an option. The PN is also expected to choose Thales-made sensors for the new frigate. If this happens, it is logical that Thales be selected to supply the CMS that will integrate these sensors together in a single manageable system. Photo taken from PDFF forum c/o Raider1011. Price-wise, MaxDefense expects Thales to command a more premium price, considering French defense wares historically are expensive even compared to other western products (think of Rafale as a perfect example). This is where Hanwha could undertake Thales. But being the most important part of the ship's combat system, MaxDefense believes that Thales has a valid reason to get more premium considering all the reasons mentioned above. There could be several other valid reasons of MaxDefense's choice, but the ones we provided above would be enough to validate our reason. What About the Frigate Contract? MaxDefense sources from DND, PN, and other entities confirmed that the contract will be signed very soon between HHI and PN. The ironing out of kinks is almost done as we speak, and the next phase will be the contract drafting, confirmation, and formal signing itself. While it could be too positive to say that it will happen this month, it could possibly happen on early October 2016. MaxDefense is hopeful that the Philippine Navy will make the best choice for its new frigates, even with such a limited budget. The Philippine Navy is expected to sign a contract with Hyundai Heavy Industries very soon, after kinks are ironed out. Just to clarify and update what I already posted on the blog entry. As of October 2016 (1 month after this blog entry was published), Thales Group divested from Hanwha Thales and sold its shares to Hanwha, with the new managemeny renaming the company Hanwha Systems. As early as July 2016, Thales already indicated their plan to move away from their venture in South Korea. So officially, there's no more Hanwha Thales, and if Hanwha continues to use the name, that is considered misleading and definitely illegal. I think Hanwa will win. Because its South Korea and its probably cheaper that allow it to became the second lowest bidder. To think that Thales would win is a far away dream. As what sir max stated above...this is brand new asset..,failure is not an option especially when it comes to CMS we should consider the quality and the integrity of such system...not only it is expensive than HANWA but it is more experienced CMS then HANWA get my point? If the PN gets addtional budget they should go for TACTICOS.. Yes, I also think SK will choose their local product to fit with our budget. "failure is not an option" is good but we really need to back up this with budget. 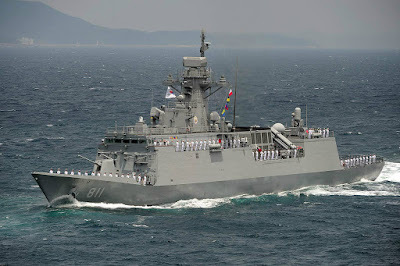 tacticos accdg to sir max is more experienced and accepted by most of the navies, but i will give chance to hanwa although new in the business but tested by SK navy with their weapons. with the rate we allocate budget for afp, we really cannot afford authentic western and euro products but we can shop for SK or Indian to beef our forces. not china please! 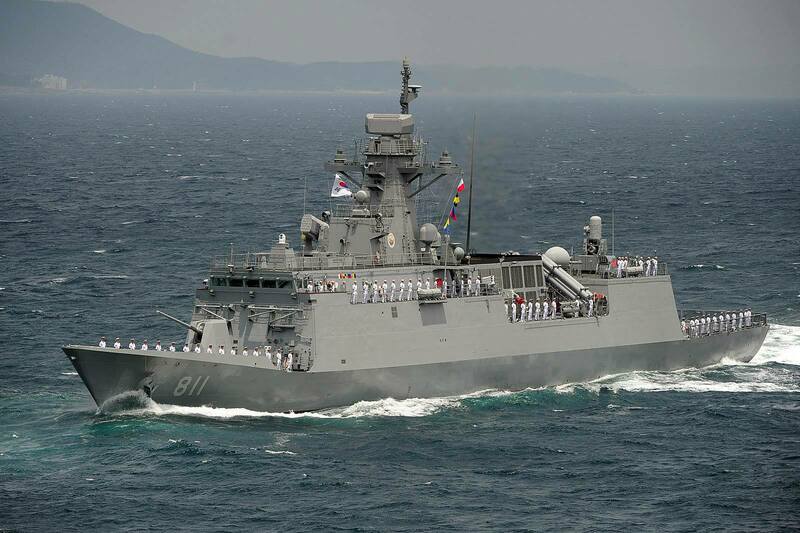 Due to DND limited budget, it would make sense to purchase Hanwa CMS for PN new frigate. I am positive that South Korea will push for the installation of their locally made system. Personally, any of the CMS mentioned will do. Thumbs up for TACTICOS. How about the maintenance cost of this french cms? TACTICOS is very important component of PH Navy's future warships acquisition. Your previous blog put some very specific examples of sub systems for the PN frigate project. While the contract hasn't been signed yet, would it be safe to assume that HHI hasn't made a final decision on what CMS is to be fitted on their frigate? Meaning does the PN have a say on which CMS they prefer(given that its within the budget)? Also you mentioned that the design offered by HHI is similar to the HDF-3000. I thought that they would be taking cues for a more stealthier design? Hyundai submitted specific models of subsystems during SOBE. 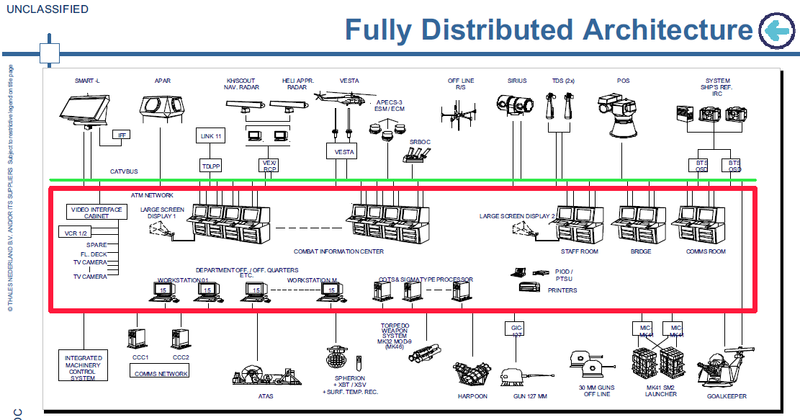 Actually I know what are these subsystems but I cannot publish them for obvious reasons. Hyundai can make changes if it was allowed by the Navy so the Navy actually has a final say. Hi sir max! Me again...as for the ships, will the training for the crew included in the budget and who will train them? I hope they get on modern equipments training fast. They will be trained by HHI courtesy of the ROKN. I think the Philippines should consider also the 9LV Combat Management System of SAAB for the future frigate. Why? I dont like the Chinese do have an idea of the Tacticos CMS on how it works and conducts on board operation. Although the C28A Corvette of Algerian navy used a Chinese CMS but the heart of sensor integration also uses a Thales Radar and sub system. It is an eye opener for the part of PN that Thales has history of helping the Chinese on their censor and cms development.It should not be limited also to Thales or Hanwa. Saab has penetrated already some PN projects why not give them a chance to showcase the 9LV CMS. TACTICOS and 9LV are both open architecture system already that can be catered for specific navies. 9LV has been proven also to be versatility and easy to adapt by the Swedish, Canadian, Australian, Kiwis and Thais is a testimony of the 9LV successful integration program. 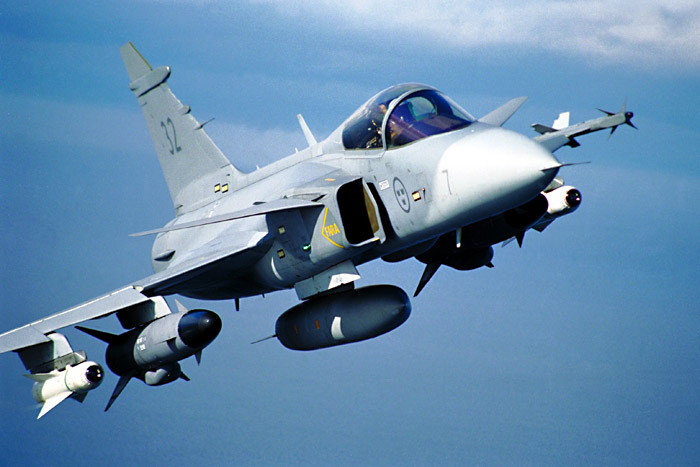 Of course for the future MRF program of the PAF they might be worth considering for secured line of communication if they wish to pursue the path of the Gripen C/D or Gripen NG. Even the Chinese have their own reverse-engineered copy of the Tacticos CMS or even those fom Selex. Remember that it was the former Pres. Clinton who declared China to be the most favored country before, that is why China has its own version of Crotale and Sea Sparrow naval SAMs. Yeah, better use Swedish CMS. Just recently, South Korean guided missiles misses nearly half of the test-fired during the RIMPAC 2016 Exercise. This is a big blow to South Korean company. KDCOM(CMS for KD-1 and KD-2) is derived from BAE SSCS mk.2. So there is no technical relationship between TACTICOS and NS CMS. Moreover, C-Star is not integrated to TACTICOS. As far as I know, C-Star has integrated to AEGIS, NS CMS, SETIS and KDCOM-2. Then that makes it a bigger problem. This will enable M DA to push forward its Exocet to replace the C-Star. As per Thales source, Samsung Thales used Tacticos to develop NS, with the 1st variant used in PKX Gomduksuri boats. What we see in FFX-1 is actually the 1st version of 2nd gen NS. Sir max, regarding the issue on the C-Star Missile and the CMS, are there still other issues that needs to be ironed out before the contract signing? Can the PN push for the Thales Tacticos and source the missile directly from France. Sir Max, with the political, diplomatic and military events recently and currently is happening in the Philippines do you think the Frigates project will push through? Mr. Max, it is highly suggested to repost this article again on your page, considering that this is the center of the issue as of the present. Max, the family of combat management system of ROKN, including the latest baseline(aka Naval Shield ICMS), are all direct descendants of KDCOM which is an licensed version of Bae SSCS MK7 with some minor changes to meet the requirements of KDX-1. Some of the features that they share are almost identical up to this day. Max, the joint venture of Samsung and Thales were only good for helping the development of thermal devices for the army. It is only recent that it has widen the field to the naval products with the help of ADD.